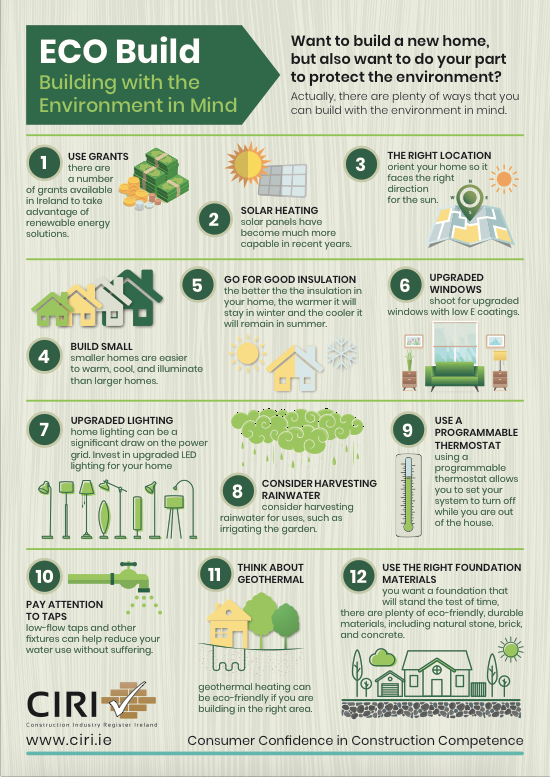 Want to build a new home, but also want to do your part to protect the environment? Actually, there are plenty of ways that you can build with the environment in mind. It’s becoming increasingly easy to reduce your carbon footprint, limit the environmental impact of your home and your lifestyle activities, and help create a greener world. Below, we’ll explore 12 ways. You’ll find a number of grants available in Ireland looking to take advantage of renewable energy and other eco-building solutions. These include the Energy Efficient Works Incentive and more. However, make sure you are able to achieve the necessary Building Energy Rating, or BER, as it is a vital part of all grant applications. Solar panels have become much more capable in recent years, and you can use this technology to power things like your home’s boiler for heating and hot water at the taps. Make sure you choose the right location for your build. Orient your home so it faces the right direction for the sun. Realise that heating, cooling, and lighting are the primary drivers of energy consumption. Smaller homes are easier to warm, cool, and illuminate than larger homes. The better the R-value of the insulation in your home, the warmer it will stay in winter and the cooler it will remain in summer. Shoot for upgraded windows with low-E coatings. Double-paned, or triple glazed windows also help reduce temperature loss to the environment. Home lighting can be a significant draw on the power grid. Invest in upgraded LED lighting for your home, or at least go with compact fluorescent (CFL) bulbs. While you will want well water for drinking, cooking, and bathing, consider harvesting rainwater for other uses, such as irrigating the garden, or even for washing clothes in a pinch. Heating and cooling your home can be quite costly, but using a programmable thermostat allows you to set your system to turn off while you are out of the house, but turn on just before you arrive home, reducing your use and energy costs. Going green means paying attention to your entire impact on the environment, including your water use. Low-flow taps and other fixtures can help reduce your water use without suffering. While solar heating can be highly beneficial, geothermal heating can be just as eco-friendly if you are building in the right area. You want a foundation that will stand the test of time. The good news is that there are plenty of eco-friendly, durable materials, including natural stone, brick, and concrete. Use these tips to help build a home that limits your impact on the environment. 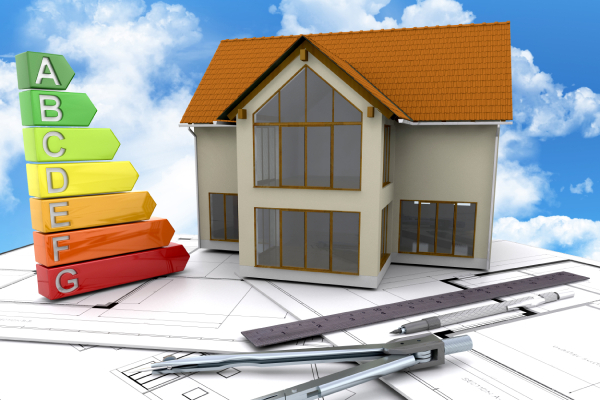 Talk to a CIRI registered contractor about environmentally friendly building options.